Sports & animationsLeisure, activities and entertaiment 24/24 ! 300 meters of beach only for you ! Our magnificent golden sanded beach, kept and guarded all day long, offers you the pleasure to make the most of our Tunisian sun. 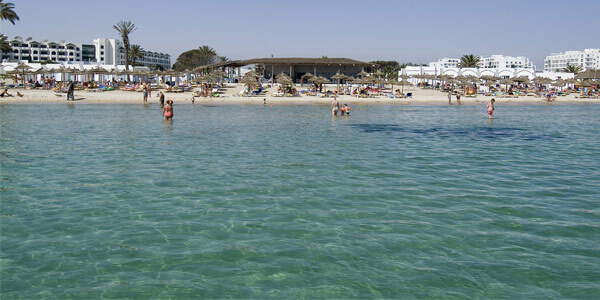 Equipped with deckchairs and animated by a very attentive staff, the beach owns its own restaurant and bars.